- Golden stainless steel bracelet; width, 20mm. - Golden stainless steel oversized case; camera detailing. - Case, 38mm x 32mm. 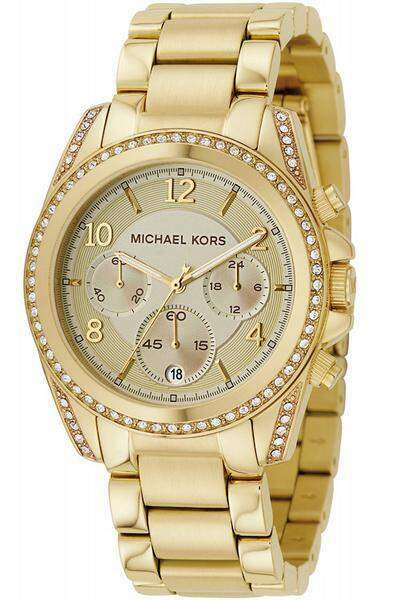 - Golden brushed dial with golden accents; dial opening, 32 mm. - Three sub-dials; date window.